If you are on a mission to declutter your house and make some extra cash then you might consider selling items on eBay. 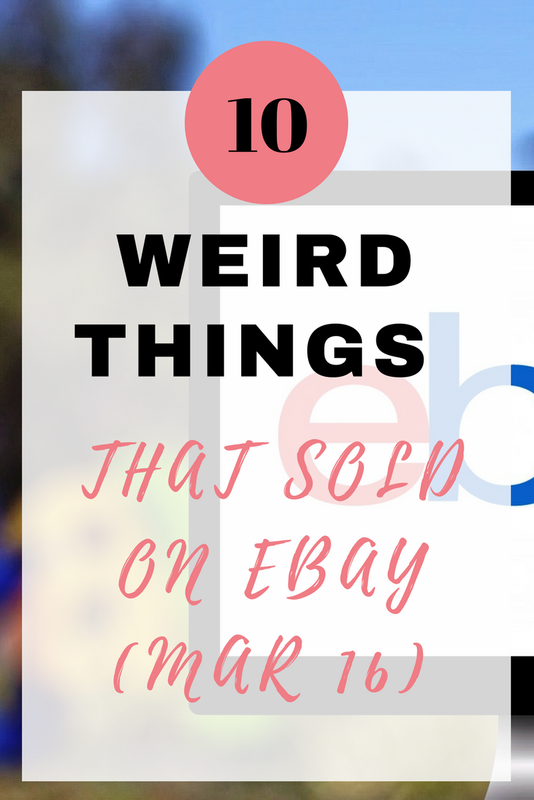 We all know what usually sells on eBay, but every month I am bringing you 10 weird things that have sold that month, either for you to giggle at or to motivate you to get your weird and wonderful items listed on eBay. 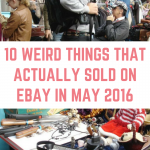 Here are 10 weird things that sold on eBay in March 2016. 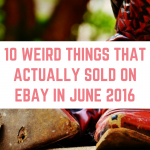 When it comes to selling on eBay, almost anything goes, and this month's sales prove just that! 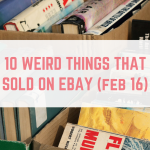 If you would like to try your hand at selling any of these, or other, weird and wonderful items on eBay then remember that you can currently get 20 free listings every month on eBay. This Old Vintage Newspaper from 1896 fetched £50 with another £14.99 postage on top. This sale isn't so much weird as it is wonderful – there is a market for people who collective vintage newspapers and whilst newer newspapers don't attract the higher bids, they are still selling. You can boost your earnings by bundling up old newspapers into job lots and being sure to be as descriptive as possible, including the dates and conditions of the newspapers. Old, used remote controls actually sell on eBay – this one fetched £24.95! Looking closely at it, it isn't in the best condition and is a bit grubby too. I will definitely be looking to see if we have any remote controls to sell! Finding that prescription glasses have sold on eBay made me chuckle, but I soon discovered why. This pair of men's prescription glasses sold for £75 with another £6 added on for postage. Why do they sell? Prescription glasses still sell on eBay because it is cheap enough to get the lenses changed, so buying a second hand pair of designer glasses can be a great money saving hack. You can pick me right up from the floor – an empty box sold for £166 with another £3 added on for postage. Admittedly this is a Hornby box, but it is still a scuffed and damaged box! 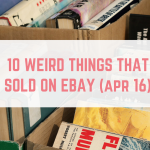 All sorts of empty boxes sell on eBay, especially ones from electronics such as smart phones and tablets, perfume and designer items. You can also try to sell your empty make up boxes too, anything goes. Be sure to be descriptive and include photographs to show any and all wear. You know all those installation CDs that came with new computer hardware? Despite the fact that you can almost always download the driver and software directly from the manufacturer's website, installation CDs are still selling on eBay. This Logitech installation CD and manual sold for £2.99 plus £1.49 postage. Perfume samples and other make up samples are easy to collect and they also sell well on eBay. These Chanel samples sold for £4.40 with another £2 for postage on top. Start collecting your samples now and selling them in a job lot is likely to fetch you a nice amount. Instruction manuals are also big business on eBay, from cameras for microwaves and everything in between. This digital camera instruction manual sold for £5.90. It might be time to clear out your kitchen drawer! If you enjoy reading magazines, have you ever considered putting them on eBay once you have finished reading them? They seem to sell well in bundles with this bundle going for £4 with collection only. If you have rarer magazines, perhaps special editions, then it might be worth listing them individually. Every month this feature doesn't fail to surprise me, and here is that item…25 empty Kinder egg shells sold for £2.95 plus £2.99. It goes to show that anything can sell, you might just have to be patient whilst you build up a decent amount to sell. Air. A jar of air. It sold for…well just for 99p with no postage, so the seller must have lost out on this one. However, air seems to be big business, with this fresh country air being targeted towards the Asian market. £70 gets you a jar of fresh air delivered anywhere in the world! 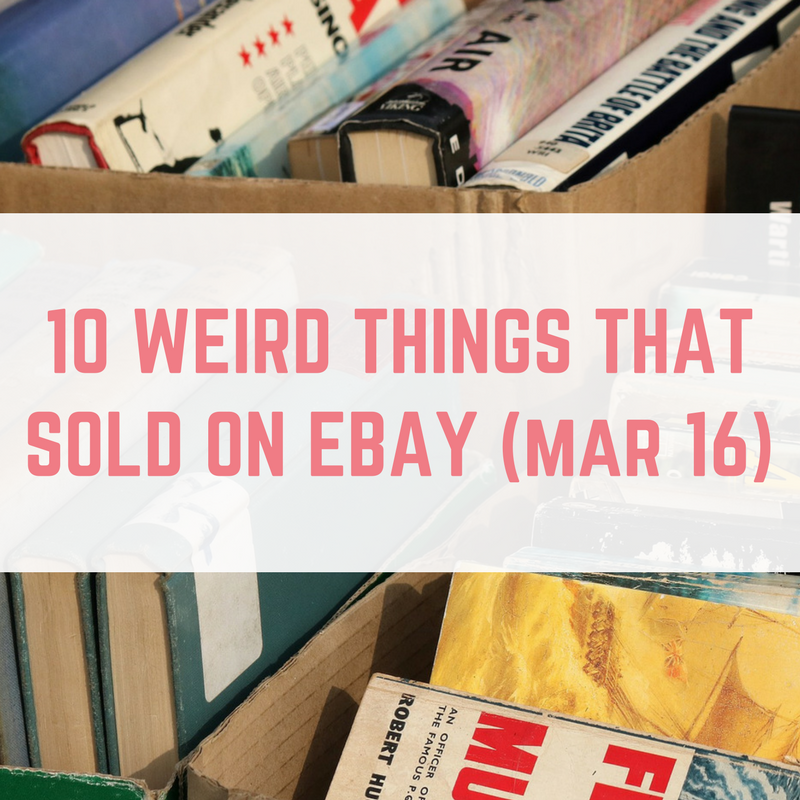 What has been your favourite weird eBay sale from March? Love it! I always think I’m putting some crap on ebay but hey someone always loves it! I definitely want to see what other rubbish I can sell now! I recently sold an empty iPhone 4s box on ebay for £1.60 after the guy in the Apple shop told me too. Not much but better than nowt!